PLEASE ENSURE THAT YOU HAVE SIGNED UP TO RECEIVE OUR PROGRAMMING NEWSLETTERS. BSMART's Action-Based Learning Lab is Bermuda's only developmental facility catering to children between the ages of 0 - 4 years. Our Learning Lab provides a time where children under the age of 5 and their caregivers can get together informally with others to enjoy a few hours of developmental movement activities and socialization. Time at BSMART, allows our smallest guests to experience a multitude of stimulating activities that foster optimal development. 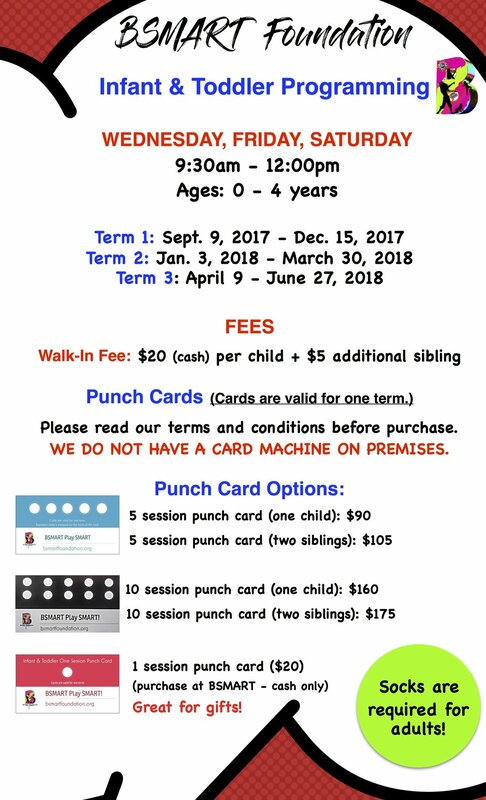 BSMART's Infant and Toddler Action-Based Learning Lab is open to the general public (families/caregivers and their children) as well as nurseries and preschools (contact us for booking details). What is a SMART Action-Based Learning Lab? A SMART Action-Based Learning Lab is a place where mums, dads, grandparents and caregivers gather with their babies for stimulation, interaction, neurological development, and fun. Parents and caregivers work together to provide their babies with opportunities to learn through play. 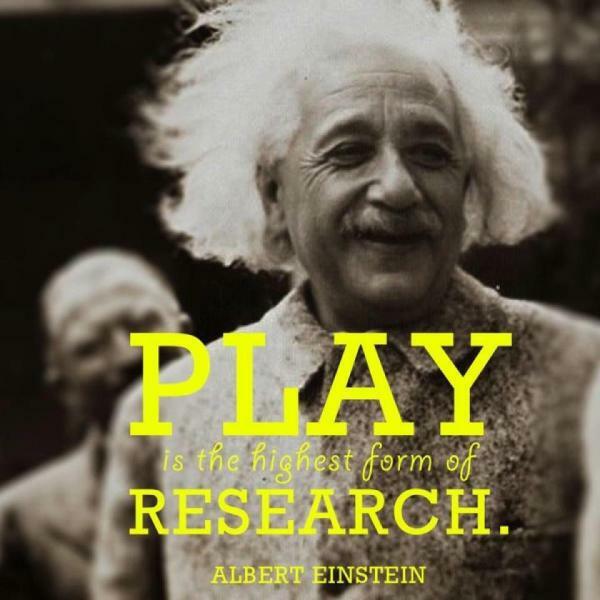 Why go to BSMART's Action-Based Learning Lab? Changes happen quickly as your baby grows and develops. Recent research indicates that your baby's first three years are really important for brain development and future health and well being. For optimum development a baby needs a stimulating environment to play and learn. Learning Lab offer babies a wide variety of early learning experiences. 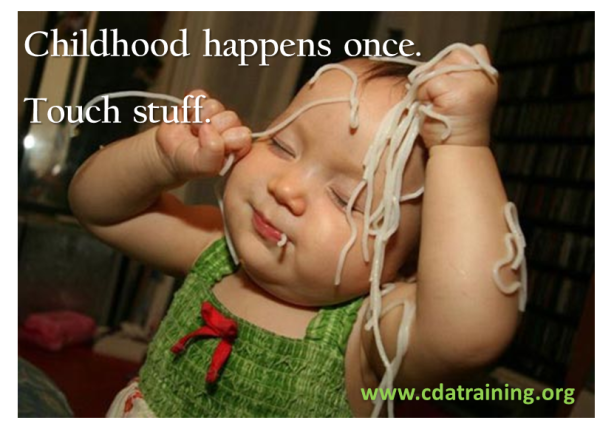 Babies busily explore and experiment with everything around them. They see, touch, taste, feel and hear to discover new information. As they discover new skills they repeat and practice them until they are mastered. Parents help by being a playmate and providing a variety of safe and developmentally appropriate play experiences. The advantages of play rooms are undeniable. Learning Lab give parents and caregivers a chance to meet to discuss ideas, challenges, and the joy and frustration of parenting. Babies and young children learn through play and Learning Lab offer a wide variety of experiences for them to explore. Remember as a parent you are your baby’s first educator! Babies need to move a lot before they are 2 years old so that they can sit still in school one day. There is no need for reclining chairs, walking rings or dangling contraptions – a six-pack and straight back starts with tummy time on a blanket! Low muscle tone can be prevented. All you need to know is how to play! Learning happens from the start, and so should our investments in children! The first three years of life are a period of incredible growth in all areas of a baby’s development. Babies don't come with a manual so there's no way to get what's happening with these little creatures in every situation. For the last 10 to 15 years, researchers have been studying infants more closely than ever in order to understand their development and help parents make good choices. New research gives better cues and clues to parents as to what they can do to enhance their child's early learning. Brain development continues throughout life, depending on the environmental stimuli. The purpose of our neurodevelopmental program is to help parents maximize the critical periods of brain development during the first years of life. From conception, nature has provided a natural, predictable, sequential development for everyone. The initial movements (reflexes) stimulate the growth of pathways within the brain to assist in the development of the voluntary movements and learning capacity of the individual. Sequentially building upon the initial movements is critical for developing the foundations needed for successful learning. Although each child’s rate of development differs, ideally, all children will pass through these normal, sequential, predictable stages. You can nurture your child’s development by providing opportunities for your child to enjoy and participate in our stimulating environment. The understanding of comprehensive, integrated and purposeful multisensory stimulation, is critical for optimal child development, life-long learning and academic success! For decades, it has been falsely assumed that all children are physiologically and neurologically prepared for education the moment they step foot into a Kindergarten/Primary One classroom. No thoughtful consideration has been given to each child’s unique individual development, which is determined by genetic makeup, quality of life, and exposure to stimuli—not necessarily chronological age. This is a fundamental problem with our early educational philosophy. The future of too many young students is jeopardized because they are expected to learn prior to being physiologically and neurologically ready; not all young minds and bodies are prepared for the stress of school at age four or five. Our S.M.A.R.T. START program ensures that parents and their infants have the necessary environment and movement experiences allowing children to acquire automatic functions that are vital to later success in the classroom. This can only occur through movement and the development of their body systems. Strengthening the many dimensions of education through prevention is easier than later interventions. Due to the large size of our facility, the temperatures are often set at cooler degrees so that it remains comfortable once numbers and activity levels increase. Please bring a sweater for you and possibly for your child. Children seldom feel cold once they are moving. We desire our learning lab to be a place of welcome, safety, happy companionship, support and learning for both children and adults. Please be reminded that BSMART is a shoe-free facility. Socks are required and are available for purchase. Please note that BSMART is a state-of-the-art neurodevelopmental facility and we run many programs within the same space as the infant Play Room. Our infant/toddler programming opening has been met with wonderful feedback as there is no other facility of this type specifically planned for child neurodevelopment. In order to continue to provide time for our infant program, we ask that parents/caregivers assist us in keeping our facility safe, welcoming, and optimally functioning by packing up after their children. Please abide by these guidelines to help everyone enjoy a great playgroup experience. It is expected that parents and caregivers do their part in reasonably picking up after their children. Smaller manipulatives and toys like balls, cars, blocks, books, and Lego should be placed within their designated container after they have been played with or used. We also ask that all items and dolls remain within the Play House Rooms. Please do not bring your child to playgroup if you suspect he/she might be ill. Your child must be free of any of these symptoms 24 hours prior to attending a playgroup that week: Temperature of 100 degrees or higher, vomiting, diarrhea, red or swollen eyes, pink eye, runny nose with green or yellow discharge, questionable rashes, persistent coughing, or exposure to any contagious illness. If your child is being treated with antibiotics, he/she should be on the drug for at least 24 hours before attending a playgroup as well. Your cooperation in adhering to these guidelines is for the health of all children. For the safety of All, BSMART reserves the right to limit the number of children/caregivers that are in attendance at our play groups. We do not allow shoes of any kind within our play area (children). We ask that all parents/caregivers wear socks. Food or gum is not allowed within the main facility/play area. All food is to be consumed in the designated area. Drinks must only be consumed from containers with lids. All parents and caregivers are responsible for their child’s supervision and safety while on the play equipment. All parents and caregivers assume full responsibility for the conduct of himself/herself, and their children. The Guest agrees that he/she or their authorized caregiver shall remain on the premises and within a suitable and safe distance of each child at all times. Children often act out in social situations. Therefore, hitting, biting, pushing, or other play that may injure another child cannot be tolerated. If your child is having a particularly bad day, you may consider removing the child from the play area for a short time, or even leaving early and rejoining playgroup the following week. Although we are all understanding and tolerant of children’s behavior and phases, recurrent violent actions (such as biting) are not acceptable. If your child is going through one of these phases, you may need to refrain from playgroup for a few weeks until the phase ends. Please watch your child carefully at playgroup to help avoid these occurrences. Soiled diapers should be removed from the facility wherever possible (there is a trash receptacle located just outside of BSMART's entrance. If diapers cannot be removed, please place them inside of one of the smaller plastic bags provided, before placing them in the bathroom trash can. BSMART is not responsible for any personal belongings. Clients entering the facility must sign in at the reception desk. Signing in constitutes agreement and acceptance of our guidelines and waiver. Do you wish to have your baby become very smart and successful? This is a video my friend Dr. Lyelle Palmer, Ph.D. an expert on the development of the child's intelligence.